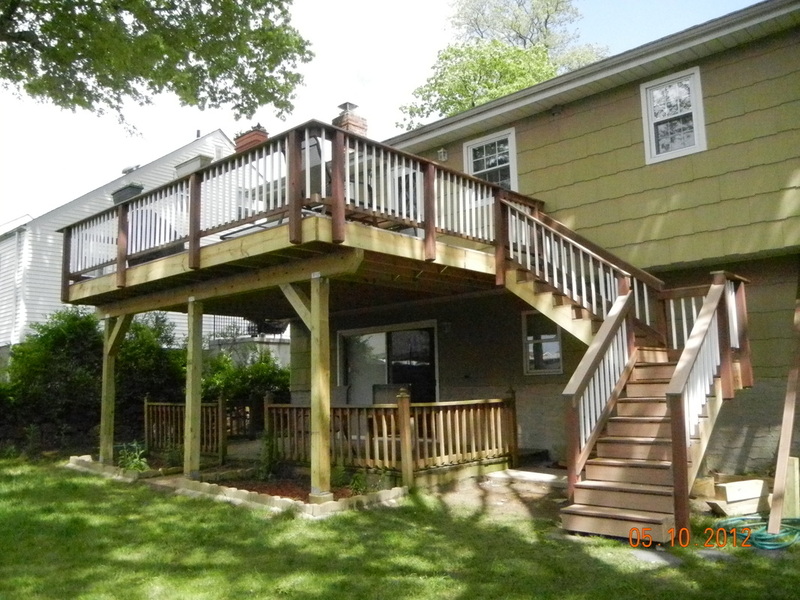 I have been doing residential renovations in Westchester since 2002 and first started in construction in 1979. I pride myself in providing Top Quality Service in a friendly, customer service oriented atmosphere. I am a hands-on contractor and I work myself side by side with my skilled carpenters, tradesmen and laborers to ensure top quality work and minimal mistakes every step of the way. I am a master carpenter and master tile setter, and I work with a reliable stable of skilled subcontractor tradesmen for things like electrical, plumbing and HVAC work to ensure quality and smooth continuity of work. You can work with confidence that mine is a business with a history of trust and reliability! Copper baluster make for a beautiful first impression! This bathroom required removing the tub and installing a shower on the opposite wall to create better flow and a more open look. There are times when traditional materials are the only thing to do! 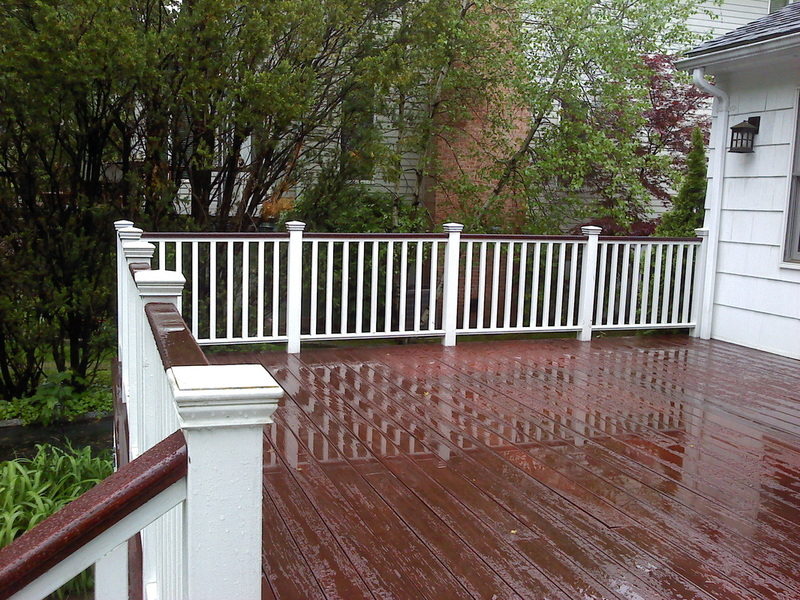 For a classic build and look this deck uses real mahogany decking and oak railings. 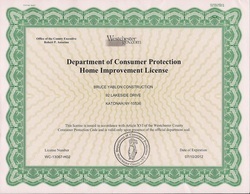 I have been licensed in Westchester County since 2002 with no complaints ever. Westchester County Dept of Consumer Protection. 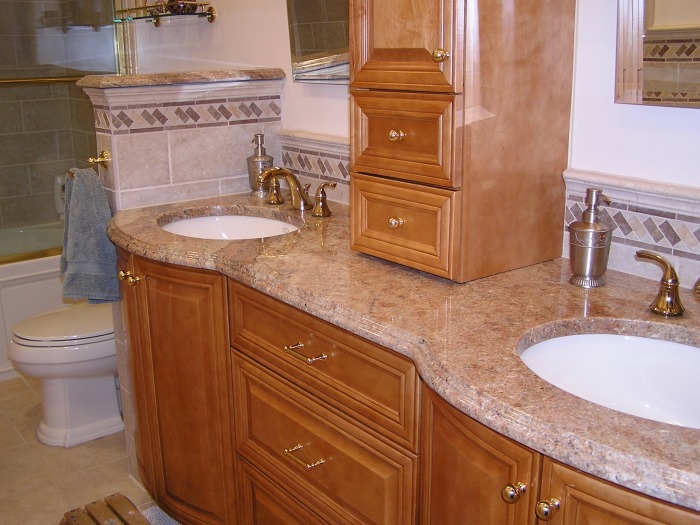 This is an elegant new bathroom that is warm an pleasing. Click image to see more! Click on the pictures to see the dramatic transformation of this basement into a beautiful living space. 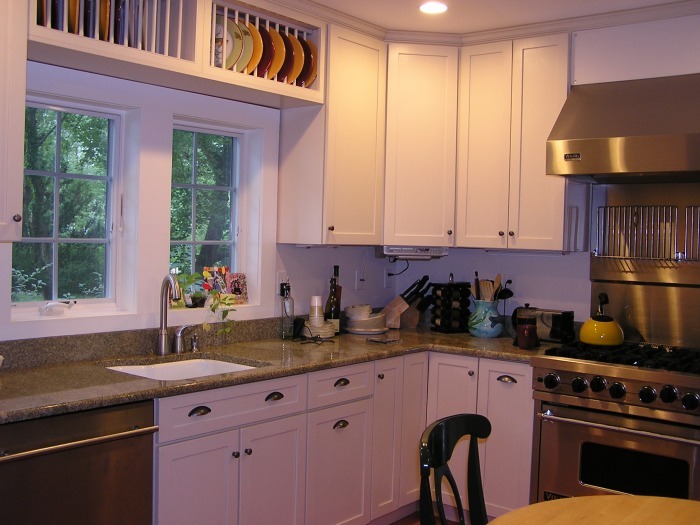 We built an addition with a great room, new mud room, kitchen, bathroom and new central air. 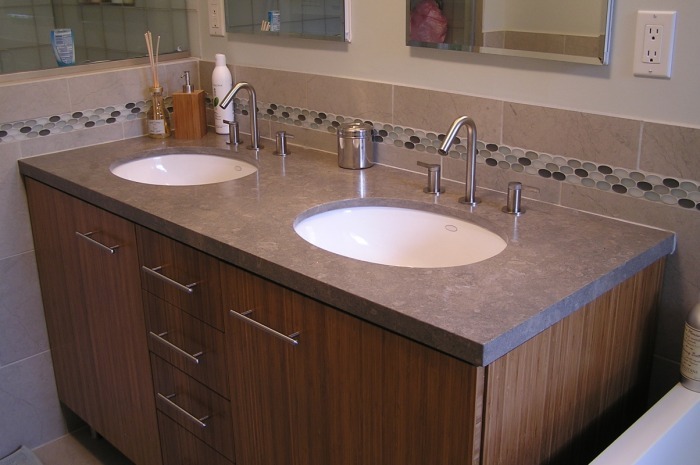 This is a bathroom using the same fixture locations with a modern flair from glass tile accents and custom cabinetry. We flipped the location of the sink and tub to make more room and created a beautiful shower area with bench and niche. Glass tile accents and a bamboo cabinet ad pizazz to this stone bath. 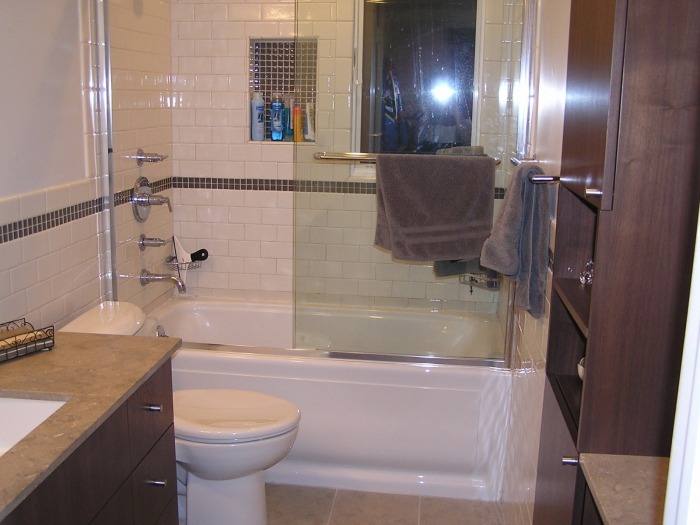 This basement half-bath was, simply put, hideous. We turned it into the most beautiful full bath in the house on a budget. 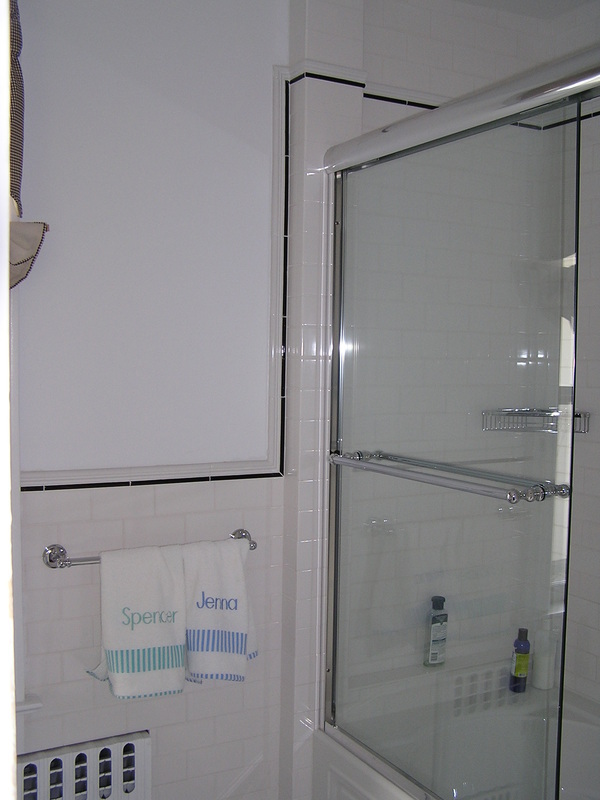 Prefab shower enclosure and Kohler accessories make the project! This bathroom uses classic subway tile, basket weave and black accents to keep a traditional look with a modern flair.